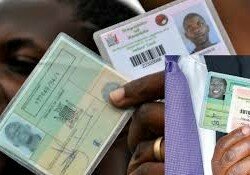 The two masterminds of the UPND voters’ cards buying saga in Katete are on the run but Eastern Province Police Commissioner Alex Chilufya says it is a matter of time before they are arrested. The two female teachers are believed to have collected hundreds of cards from unsuspecting villagers who were promised UPND campaign materials, but the cards were later featured in the Post Newspaper as belonging to Malawian voters. Mr Chilufya said the manhunt for the two teachers was going on and progress had been made. Mr Chilufya said most voters cards were grabbed from villagers in Katamanda village in Chief Chanje’s, apparently to prevent them from voting on August 11. And headmen Aliana Phiri and Tumeyo Phiri of the same area Monday pleaded not guilty to 34 counts after they appeared in Chipata Magistrates Courts on charges of illegal practices relating to the polls. This is in matter in which the two have been jointly charged with illegal practices relating to elections contrary to section 86 (1) and section 87 of the Electoral Act No. 12 of 2016 as read with section 21 (1) (c) of the Penal Code cap 87 of the laws of Zambia. When the matter came up before Magistrate Philip Mpundu, both head men pleaded not guilty to the 34 counts slapped on them. The matter has been adjourned to August 8, 2016, for mention. Headwoman Aliana Phiri and Mr Tumeyo Phiri, a village headman Mbobo, who is also the United Party for National Development (UPND) chairman for Rukuzye ward while working together with Caroline Munyumbwe and Punji Chona Malata both teachers at Katete primary school , collected voter’s cards from all the registered voters in Katamanda village and those from the surrounding village on the pretext that they would give holders of voters cards campaigns materials (Chitenges and t-shirts). In an interview the Daily Nation, Mr Chilufya said investigations had made progress and very soon the two teachers would be apprehended. Meanwhile villagers who cards were confiscated have called on the Government to retrieve them to enable them vote in the forthcoming elections.